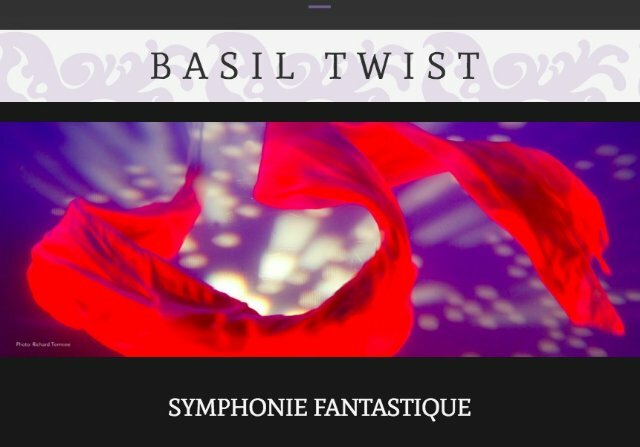 Basil Twist created Symphonie Fantastique twenty years ago. It has entranced and engorged audiences ever since. 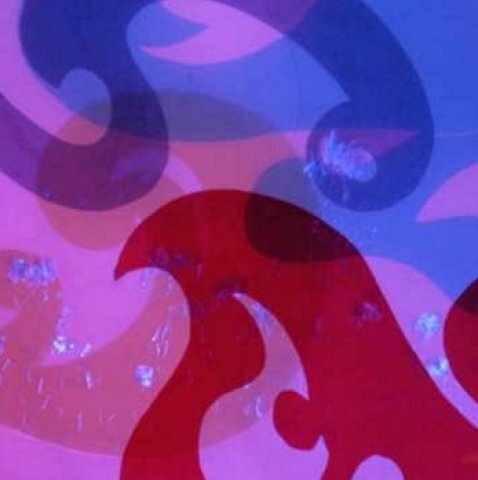 The marriage of Hector Berlioz' music and Twist's abstract puppets have had different elements over the years. Now Christopher O'Riley plays Franz Liszt's transcription of the orchestra work live on a piano at the foot of the puppet stage. He is dextrous and spirited. Between the five parts of the Symphonie he rested, reflected and sometimes seem to wonder that he was able to do this at all. O'Riley indeed pleased his listeners, who were encouraged to applaud after each section, and probably would have without either prompting or permission. He is the right artist for this performance, both greatly gifted as a pianist who listens to the sounds he is creating and dances to them, just as the abstract puppets above him do. Twist, now the Artistic Director, Dream Music of HERE, the astounding arts organization which mounted the first performance of the work. They are celebrating their 25th anniversary. Twist quotes Wassily Kandisky on music's role. "Touching one key or another, to cause vibrations in the soul." A flurry of notes on the piano seems to cause a ferocious bubbling up from the base of the puppet stage, effervescing magically to energize us. If Kandinsky could deliver his message in abstract forms, Twist would too. Everything is happening live. The music prompts the aquarium action. The young woman at the left of the theater, whose work table for the repair of parts stood at the ready, reported that the six puppeteers had scripts and followed them precisely for each evening's performance. Back stage, the puppeteers report frequent accidents. The aerialist who works over the water in a harness fell into the tank one evening and had to be rescued as part of the drama. 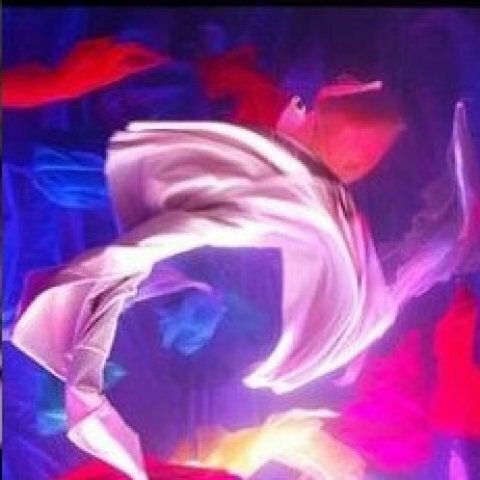 Three long, whirling yellow silks on a stick broke during a tornado in the tank, and the puppeteer had to improvise. He is a trained Shakespearean actor who was accustomed to perfection, and had to adjust to this wild world in which anything can happen. Part of the pleasure of the evening is created by recovery from unexpected events. 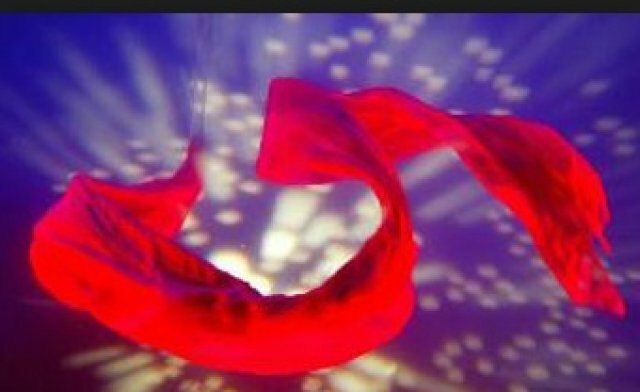 The glorious abstract puppets made of feathers, silks and other more durable materials whirl past us. 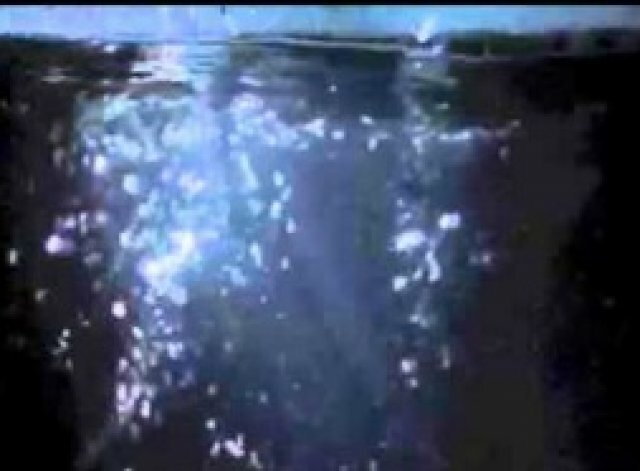 At one point a spotlight, and then two, shine from the top of the aquarium, spreading a descent of light, as though a celestial presence is pervading the space. Riots of color and movement accompany the Witch's Sabbath as dreamed by the composer. Symphonie Fantastique is Berlioz. It is puppetry. And it's a supershow. Catch it if you can.